Welcome back to the third text structure post. Today’s focus will be on sequence / chronological order and descriptive text structures. Here are some graphic organizers to keep in mind. Information presented minute by minute, hourly, weekly, monthly, yearly, etc. A retelling of events in the order they happened: First, next, then, finally or beginning / middle / end. It may be helpful to use a “retelling rope”. Use a section of rope or nylon cord (approx. 1 foot long). Tie several knots along the length of it (3-5). At each knot, retell part of the story or events in sequence. Predict what will happen next in the sequence. Make personal connections regarding your own experience with the sequenced topic. 3. Sequence / Chronological order main idea / summarizing sentence frames: Suppose I read an article telling about the seasonal journey of a pod of whales. Again, the topic is whales — but this is NOT the main idea. (Main idea): Whales travel to different locations each season to find food and a mate. How to ________ step by step. There are several steps to ______________. First, _________. Then, ___________. Last, ________. The life cycle of __________. Many things happened during _____________’s life. (Summarize): Whales travel to different locations each season to find food and a mate. In the spring, they ________. In the summer, ______________. In the fall, _____________. In the winter, _________. To make ________, follow these steps: ________________. 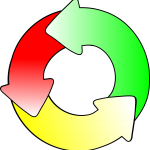 The life cycle of a ___________ includes these stages: _______________. Many things happened during _____________’s life. In (year), he/she_____________. After that, _____________. Then, ________________. Finally, ___________________. 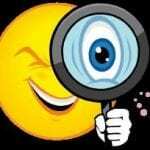 Details or descriptions about a person, a place, a thing, an idea, an animal, an event, etc. A web graphic organizer is a good model to visualize, with the topic in the center and the supporting details branching outwards. Visualize what is being described, especially if there are no pictures or photos in the text. Analyze the point of view: What is the author’s point of view. Is he/she presenting a one-sided view of the details presented? Make connections to the topic. Some of the confusion may be that students are mostly armed with the keywords regarding various points of view (1st = I, me, my; 2nd = you, your; 3rd = him, her, them, they). I have literally seen students counting pronouns and then declare the point of view based on which pronouns they saw the most of. This means they were not really focused on the overall jist of the story and/or were ignoring the fact that a quote using the word “I” doesn’t necessarily make the selection a first person point of view. This is where too much reliance on beautiful anchor charts on Pinterest can perhaps harm your students. So be cautious! Stay tuned for some cool FREE activities (end of post). 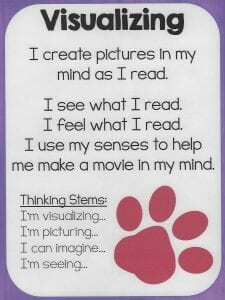 I have been doing some research about the difference between reading skills and reading strategies. 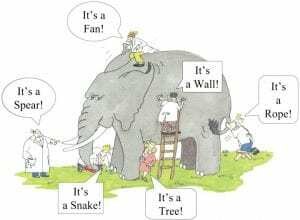 There seems to be a variance of opinions, but basically a reading skill is described as a path to answering certain kinds of questions (cause-effect, compare-contrast, sequence, etc. ), while a strategy involves a higher meta-cognitive process which leads to deeper thinking about a text (visualize, question, summarize). Another way to put it is this: When reading, I need a strategy to help me understand when and where to apply the skills I have learned. It probably can be illustrated more clearly using mathematics: A skill might be adding two double-digit numbers, while different strategies might be these: using base ten manipulatives, using an open number line, or the partial sums method. 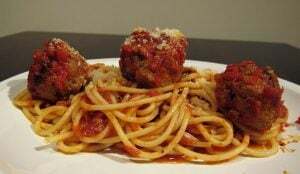 Or soccer: A skill would be the dribbling the ball (how to position the foot, how close/far to keep it to the player), while a strategy would be how to keep dribbling while keeping it away from the opposing team. There are also varying opinions about which reading practices are considered strategies. 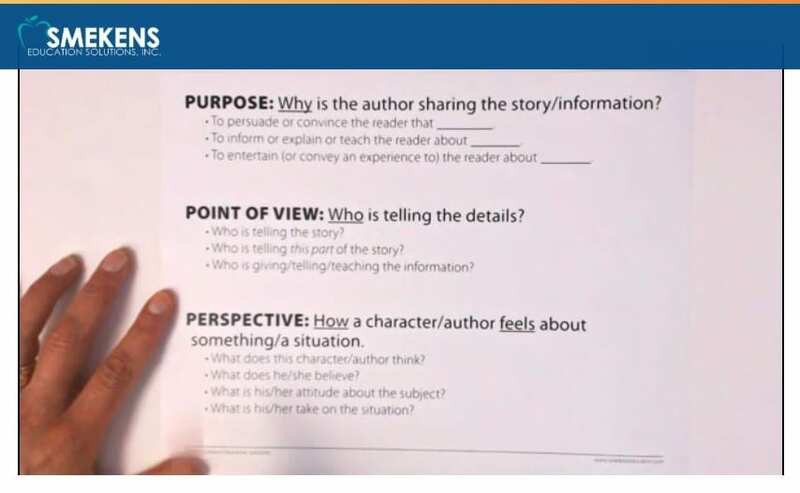 I like to think of strategies as those that can be applied to any reading text such as: summarize, visualize, question, make connections, predict, infer, author’s purpose & point of view. I need a strategy to help me understand when and where to apply the skills I have learned. Keep reading for more ideas and FREE resources. Skills seem to be more dependent on the text structure (meaning they only apply to certain texts) such as sequence, compare/contrast, cause/effect, main idea / detail, problem-solution, identify story elements, etc. To help me summarize (strategy) an article, I need to analyze the text structure (skill) and then use that information to help me summarize. Is it in sequence? Then my summary will use words such as first, then, next, last. Is it comparing and contrasting something? Then my summary will need to use words such as alike or different. Is it informational? Then my summary will list facts or details. Is it fictional? Then my summary will tell the characters, setting, and events. 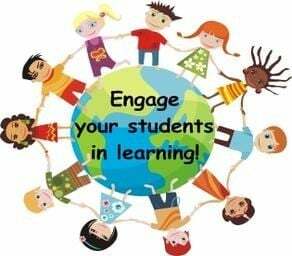 Student engagement is a huge concern among most (if not all) educators. This means students are actively involved in the learning process. Research definitely supports the notion that higher incidents of engagement result in increased achievement (Marzano, etc.). Attached is my guide to student engagement strategies for reading / ELA lessons. Many of these strategies also will apply to math, social studies, or science lessons. Here are 12 decoding strategies you might like. These show various ways to help students break apart, analyze, and relate to known words. I only recommend sounding out words letter-by-letter in a few limited situations. Beginning readers do this to apply newly learned letter-sound knowledge. It is a successful method for cvc words and other small words which follow the phonics rules. However, if this is the child’s main method of reading, it begins to become unproductive and impede fluency. 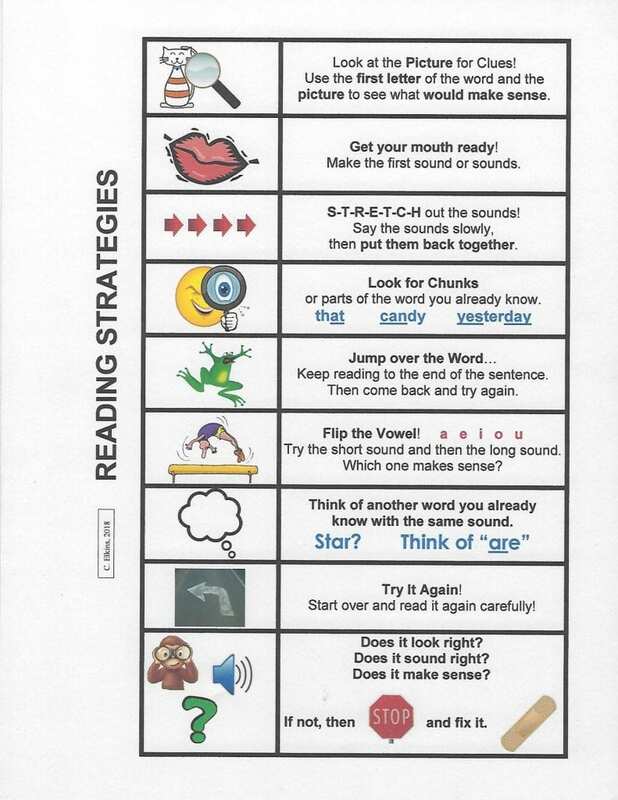 In addition to prompting students for meaning or use of structure (see Fix-it Strategies parts 1 and 2), try some of these strategies to help children decode words. Help the child think of a word that makes sense which also begins with that letter(s). Use the picture and the first letter to help predict the word. Example: The alligator is green. I know it’s not crocodile because the word begins with the letter a. Limit “sounding out” to highly predictable words. Use Elkonin sound boxes for students to “push” sounds of words and then blend them together. Click on this link to see a video of this process: Elkonin Sound Boxes When ready, replace chips with letter tiles. Use “continuous blending.” The reader slowly blends the sounds together instead of segmenting one at a time. Example with cat: Instead of /k/ + /a/ + /t/ it might sound like /kaaat/. Show the student how to cover up parts of words to isolate known syllables, base words, or word parts. Help student relate the tricky word to another that is similar (word analogy). If a child is struggling with a word, it is often helpful to write a simple known word (on a handy small whiteboard) to see if they can relate the known to the new. For week: You know we so this word is . . .
For star: You know are so this word is . . .
For chat: You know cat so this word is . . .
For dress: You know yes so this word is . . .
For perfect: You know her so this word is . . .
For wreck: You know write so this word is . . .
Tell the child to “flip the vowel.” This means if they try one sound and it doesn’t make sense, to try the other sound the vowel makes. This is a quick prompt without the teacher going into a mini-lesson on vowel rules. As a visual reminder, I flip the palm of my hand from one side to the other. Closed syllable: If a single vowel is “closed in” with consonants on each side, the vowel sound is usually short (tub, flat, bas-ket, lim-it, in-spect). This generalization often applies to vc syllables in which the consonant ends the syllable. Two vowels in a syllable? Most often the vowel will produce the long sound (this includes vowel digraphs and the vce pattern such as coat, cone, treat-ing). 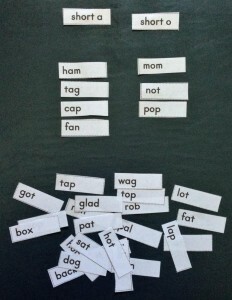 Practice word sorting, so children can visually discriminate between words /patterns. For those of you who use Journeys (Houghton Mifflin), you can access word study/spelling cards for sorting only through Think Central. Go to teacher resources, then choose the “Literacy and Language Guide.” Click on the word study link to find them. 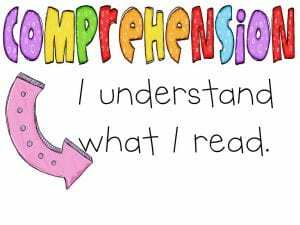 As I mentioned in other posts, when the child is reading text let them complete the sentence before prompting for uncorrected errors. This is because the child’s use of the meaning and structural systems are huge. The visual aspect of a word is meant to help them confirm – not drive their system of reading. See previous posts (Fix-it Strategies parts 1-3 and freebies) for more information. Welcome back to part 3! In this post we will look at some strategies and prompts regarding the visual cueing system. When a student’s main strategy is to use the letters they see to sound out words, they are attempting to make the word(s) look right. 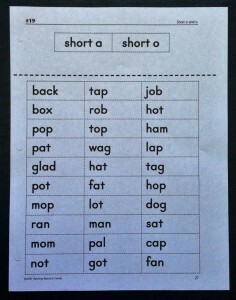 This method is often helpful, especially with cvc words or words which are phonetic. We do want kids to know how to segment the sounds and blend them together to pronounce the word. But we don’t want them to overuse it and neglect the other 2 cueing systems. A good reader uses all 3 at the same time to cross check their reading. If we want children to use the visual cueing system, there are several “sounding out” strategies. Children often need guidance about which of these works best. So try not to just say, “Sound it out.” This guide emphasizes many of these strategies. Get it here FREE: Strategy Chart full size. Get the word started with the right sound. Stretch out the sounds slowly (also referred to as continuous blending). 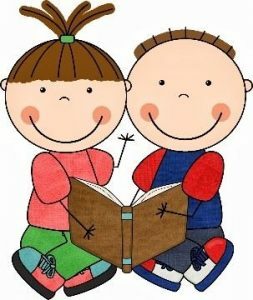 Think of another known word which has a similar spelling: If the child is trying to read the word were think of the word her. Trying to read the word tree? Think of the word see. In part 2, I will focus on some more fix-it strategies for students who are neglecting structure/syntax when reading. Last week were fix-it strategies regarding meaning. Next week will feature strategies for visual errors. Let’s say this is the text: She looked in her desk to find a pencil. Let’s say this is how he/she read it (and did not fix it): She look in her desk to find a pencil. This child is making a structural / syntax error. Most of these types of errors occur with verbs in which children use the wrong tense or leave off/add endings. This should cause the child to stop and fix it because it doesn’t sound quite right. But that doesn’t always happen. Why? The child is so focused on the base or root word, they don’t notice that endings have been added. The child is not listening to them self. The child can not always distinguish between proper and improper speech – perhaps because they don’t hear correct English at home, or they may be an English language learner and haven’t had a lot of exposure to correct grammar. 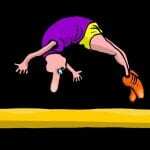 For example: Most often the child knows to add -ed when speaking about a past time event (jump / jumped). But what about run or write? It’s not runned or writed. Or while they might see the -ed ending, they don’t always know which is the correct pronunciation (is it /ed/, /t/, or /d/??). The child does not yet know all of the grammar rules regarding participles and irregular verbs – perhaps due to developmental level or hearing incorrect language use among peers or family. What strategies do your students use to fix their reading? As teachers, we want our students to recognize when something doesn’t look right, sound right, or make sense — and FIX IT! But, do they use the same strategy over and over again — or worse — not even try to fix a mistake? This post will begin a series about good fix-it strategies (for any age reader) and prompts teachers can use to encourage students to use them. Keep reading for a FREE prompting guide, poster, and bookmark to use in your classroom. 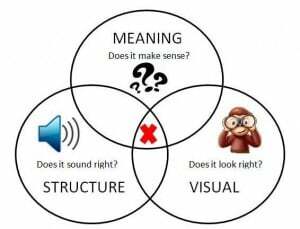 The fix-it strategies I will share are based on the three cueing systems in reading: Meaning, Structure, and Visual. When students make errors in their reading, the errors fall into one of these 3 categories. In this post, I will focus on the MEANING system, which in my opinion is the most important one. After all, the ultimate goal in reading is to comprehend or make meaning. When a reader comes to a hard word, is he/she only trying to sound it out? Or are they thinking about what makes sense and sounds right? Hopefully, a little of each. A good reader looks at the letters, combined with the structure and meaning of the story to decide what that tricky word could be. I’m sure you are familiar with this scenario. A child sees this text: She went to the store to get some milk. But, the child reads it as: She went to the story to get some milk. And the child keeps on reading, oblivious to their mistake. After all, the word does look like story. As part of building a classroom community, you likely will have many discussions about diversity, friendship, and showing respect in various ways. Here are some great resources for literature that might emphasize the point you are trying to make. Weareteachers.com 14 books with great follow-up ideas. This site is one of the best because it doesn’t just give a summary of the story, but it provides very practical follow up ideas include a get-to-know-you bingo, anchor charts, self-portrait, writing, posters, brainstorming, drawing, etc. 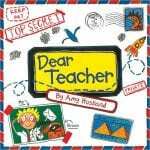 For the above book, “Dear Teacher,” she suggests writing a postcard to a friend or family member telling them about the first week of school. 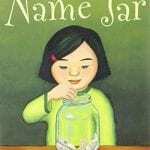 For the book, “Name Jar,” the article suggests brainstorming and creating a poster showing different ways to greet a new student. There might be some new titles here that kids haven’t heard in previous years. Back to school books for upper elementary (teachingtoinspire.com). This teacher provides some printables to accompany the books she recommends. These deal with more advanced issues such as kindness, diversity, perseverance, homework and writing. 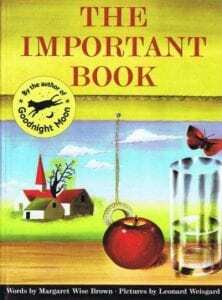 One of the books she features is “The Important Book” by Margaret Wise Brown. It’s been around for awhile (for a good reason). A perfect book for getting kids to write details around one topic. This can actually be used any time of year – not just the beginning. For the schools I visit, I have a set of these books you may borrow. Or send me a message and I will send you more information about this book and its link to writing possibilities! Or, of course, I can help you do a lesson using these any time of the year. Don’t have the books mentioned? Your school library might be able to get it from another library. Or – check youtube.com. Many books are shared this way! Enjoy! And please share some other titles and/or beginning of school activities you love. 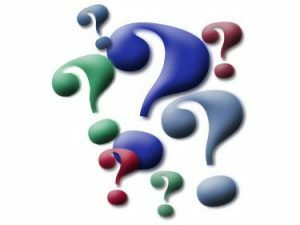 Here are a few links to some previous posts regarding literacy and math you might be interested in to help you start your journey this year. And in case you didn’t see it, I now have an easy link to most of my own free resources. Creating this was one of my summer projects. Click here to get it now, but it is also available in the black bar above. See info at the end for another $25 subscriber / comment challenge!! Have a great start to your year and Enjoy!!! I will refer to the six traits, although Education Northwest added a seventh trait (presentation) and titles it “Six + 1 Trait Writing.” Keep reading to find some FREE RESOURCES. 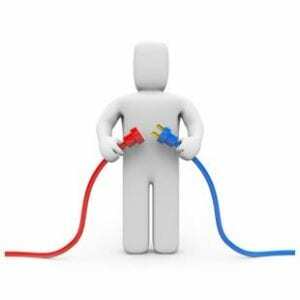 Ideas: This is the main message or topic. The message is written clearly. It is interesting and shows understanding of the topic. 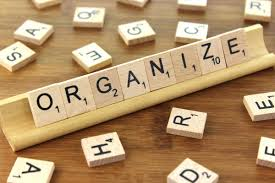 Organization: This is the structure of the piece. Connections are strong. Everything written links to the message. A good beginning and ending grab the reader. Sentence Fluency: This is the flow and rhythm of the writing. Varied sentence beginnings and lengths. Does it sound smooth and interesting, showing good use of transitions? Are some words emphasized for effect? Voice: This is the writer’s personal tone coming through. The writing sounds like the author. The author’s feelings and style come through the writing. It shows sincerity, honesty, and conviction. Word Choice: This is the vocabulary the author chooses. Selects the best words to fit the author and the message. Does not repeat words too many times. Natural, but precise and vivid. Might include well-placed figurative language. Conventions: This is the mechanical correctness – the rules of language. Expectations should be based on grade level lessons and standards. Presentation (the +1 trait): This is how the writing looks on the page – the overall appearance. 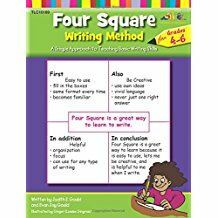 One of my favorite models for organizing writing is the Four Square Model. I got the chance to attend a workshop conducted by the author of these books and I have been a fan ever since. This organizational model can be applied from KG to 5th grade (and beyond). Order HERE. It is developmentally appropriate to start with pictures for the youngest and gradually add sentences to explain the topic. 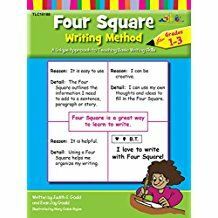 For those who can write sentences, this model can help students build from a single five sentence paragraph (first and second grades) to the 5 paragraph essay (3rd and up). This model is great for expository, persuasive, and descriptive types of writing. For intermediate students, this format helps them organize the main idea, subtopics, details, and transition words. Students become better at seeing the relationship between the main topic and sub-topics such as: Fruit — apple, grape, cherry. I believe if students can write about a topic and the supporting details, then they can more easily recognize these in text. Description is one of the five main text structures. KG students start with pictures. Then young students (first or second) create a topic, 3 supporting details, and a beginning or concluding sentence to create a single paragraph. Thanks for hanging in there regarding my Writing series. Today I will focus on using writing mini-lessons. The mini-lesson is the teacher’s chance to show children how to do all of the different things writers do — a little bit at a time. Mini-Lessons are meant to be short – maybe 10-15 minutes. They are meant to address student needs – so your decisions shouldn’t necessarily come from a sequenced list, but based on what you see the students doing (or not doing). Focus on one topic per mini-lesson. Then practice that one aspect of writing. Decisions on mini-lessons can be based on any writing students are doing (journal, prompts, reading responses, and other curriculum writing assignments). How often? I would try 1-2 mini-lessons per week. Alternate days with handwriting instruction and journal writing if you only have one block of time for writing. Writing mini-lessons can also be done as a part of your guided reading weekly routine. This means you can differentiate your instruction based on the group of students with whom you are working. Always model and use think alouds. Your writing mini-lessons will be more effective if you have already been utilizing shared writing methods. Use some of your own writing to introduce a mini-lesson. Mini-Lesson Ideas: These are not listed in any particular order because you should select ones based on what students need. However, I did put them in a somewhat developmentally appropriate order from younger to older students. Can u reed wut i am riting? Can u tel frum my riting that i no most uv the mane sonds in werds? I no sum site werds, i no the sonds in order frum left to rite as i strech them out. I no sum vowl paterns. 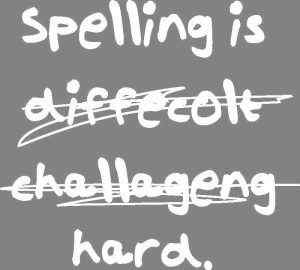 I can evn spel sum 2 silubul werds by trying 1 silubul at a time. After i am dun riting, the teecher helps me pik out 2 werds to lern. Then i practis them a fu timez and add them to my speshul werd book so i can find and uz them agen. Stretch out sounds or use sound boxes. Clap to hear the distinct syllables and spell each syllable separately. Think about spelling patterns from known or rhyming words. Use words posted on the word wall and/or in the individual word book. Try words different ways to see which one looks right. I support you, OK teachers!!! I walked with you in 1990 and in 2007-2008. I feel your frustrations and have been contacting OK representatives and senators this past year on your behalf. Last in pay, overcrowded classes, lack of supplies, on and on – I experienced it myself and see it everyday when I visit classes. I am proud of you, your goals, and your actions to affect change. I am with you all the way!!! 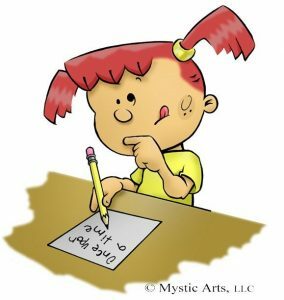 I will share several writing strategies via this series of posts on Writing. Part 1 was a focus on the continuum and word-writing strategies. Part 2 focused on the importance of letter formation and handwriting (printing) with a way to incorporate it with concepts of print, phonics, and composing sentences. 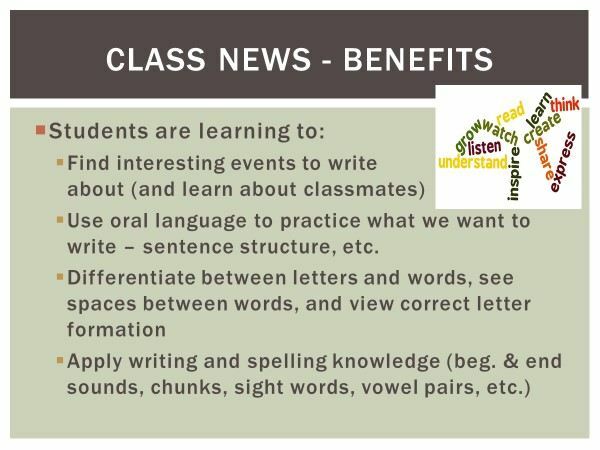 In this part, I would like to focus on a modeling / shared writing strategy I call “Class News.” I utilized this strategy with KG-3rd grade classes and will share some pictures and ideas with you. I also wrote an article about this that appeared many years ago in the Oklahoma Reader, a publication by the OK Reading Association. After a sentence was orally agreed on, I wrote parts of it and solicited help from students for parts I felt they could be successful with. This often varied depending on what I wanted to emphasize. At first it was beginning letters or ending letters. Then I would try leaving out the vowels for students to work on. Gradually, different word parts or whole words were left for students to complete (usually with a different colored marker). All the while I was right next to them guiding them. 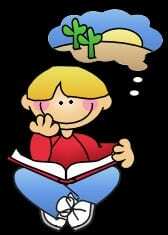 I read an interesting blog post about checking children’s ability to distinguish between letters, words, and sentences. While I always considered that a reading skill related to “concepts of print,” it dawned on me that this relates strongly to a child’s successful writing experience too. This whole concept is what I will explore in today’s post – along with my opinions and ideas about teaching handwriting / penmanship. Do you want to see if your students can distinguish between letter, word, and sentence? Try something like this from www.kindergartenchaos.com. Here are some other links to help your children practice this. Using poems on a weekly basis (as with the spider poem in video from #2 above), make it easy to highlight these features (letter, word, sentence) as you continue to practice emphasizing the difference. 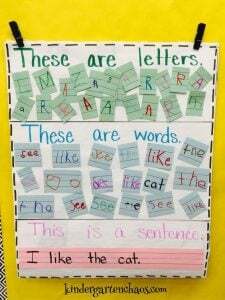 So when I want KG or 1st graders to write and I model how to write letters, and put space between these letters and words to write a sentence, they will hopefully have this concept under control. It seems to be pretty common that students aren’t always “seeing” this because they string everything together in one line with no differentiation in spacing between letters and words. Or they confuse letters with numbers. 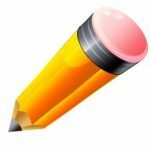 So many teachers have asked for assistance with writing – so here is Part 1. Stay tuned for more parts devoted to helping students become better writers. Sometimes it’s hard to know where to start with writing. Do you have these thoughts? What type of paper is best? Lined, unlined, wide rule, college rule, dotted lines? How much should I help them with spelling? Does it need to be spelled correctly? 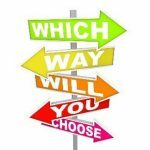 Should I use prompts or free choice journaling? How do I get students to space correctly? How do I get students to stay on a topic? What do I do about handwriting issues? How can I connect it with reading, math, or other subjects? Students can’t be expected to write if they don’t see the teacher model writing. Through modeling, teachers can use dozens of “think alouds” to share the decisions they are making. In this way, the strategies a writer (the teacher) uses are being exposed. Then the students are more likely to emulate these strategies. Writing needs to be scaffolded in the same way as other lessons: I do – we do – you do. Students observe and watch the teacher as he/she models various writing strategies. With shared writing, the teacher and students work together to “share the pen.” Then we gradually release students through guided writing sessions before expecting independent writing. This is a year-long process. Teachers realize the great benefit of working with smaller intimate groups in reading. By doing this, the teacher is able to tailor reading instruction and text levels to the needs of the students. This is a valuable time for students as well as the teacher. 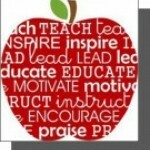 However, organizing a schedule and the activities for students who are not meeting with the teacher is very difficult. Then, if there is a large class (which seems to be the norm now), how can 20 students realistically be properly engaged for 45 minutes while the teacher meets with 5 . . . and move from one station to the next orderly, clean up after themselves, and do this all rather quietly? So I have developed 6 different options which will enable the teacher to conduct small group instruction, while the other students are occupied productively. Click here to get a full description of them all, with charts and illustrations to help visualize how they are organized.PDF Center Organization Ideas For more help, search for my previous posts on Guided Reading Literacy Stations. And if you have questions or suggestions, by all means — click the comment box!! Option #1: Traditional rotation method — students rotate every 15-20 minutes and visit each station every day (including the teacher table).